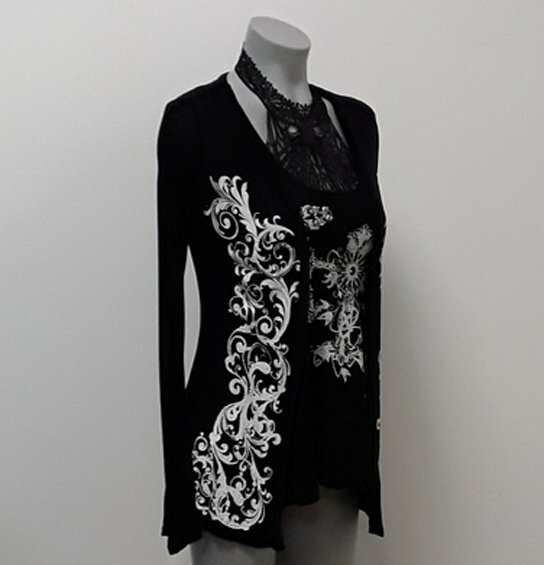 Rayon cardigan with crystalled white embellishments. Fitted style, longer in the back. Shown with Crossed Life tank & Lace bralette, both sold separately.